Over 50 artisans and producers will display an ample variety of organic products from private gardens, hand-made crafts plush fresh-baked goods and home-cooked foods. The 3rd season of the Tianguis Lo de Marcos has been announced by the organizers and is set to take place every Saturday from 9 a.m. to 2 p.m. starting on November 5, 2016 and ending on April 8, 2017 at #9 Luis Echeverría street. On inauguration day the market will kick off with live music from 11 a.m. to 1 p.m. by the talented Caravane de San Pancho trio featuring Nina, Humberto and Charly. There will be a 25 percent discount on all drinks at the Palm Bar. The festivities will also include a raffle for a one thousand-peso gift certificate to use by the winner on their next visit to the Tianguis. 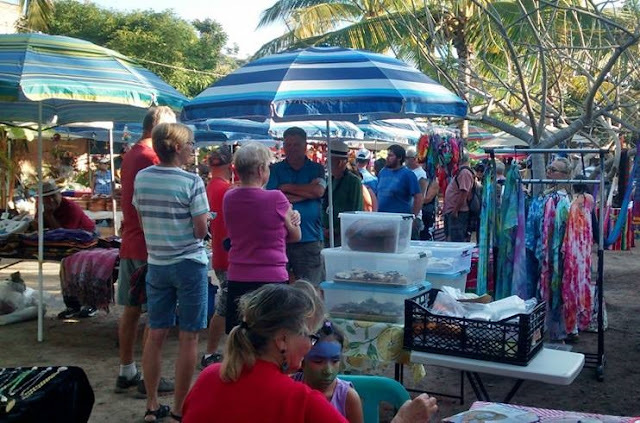 The Tianguis Lo de Marcos is made up of over 50 gifted artisans offering organic products, handmade crafts, fresh-baked goods and home-cooked food. There will also be a food court with a select group of providers selling an ample variety of food items that aren’t available anywhere else. “When the people involved in the Tianguis Lo de Marcos saw the samples and pictures of the articles on sale they kept saying they wanted it all so we’re sure those attending are going to say the same thing,” said Jaqueline Castellón, Market Coordinator. The Tianguis wants to encourage the residents, farmers and artisans to sell their products, provide the community with hard-to-find articles and offer tourists to the Riviera Nayarit an option to learn what’s locally available. Take a peek at some of the products that will be available in November on their Facebook page at https://www.facebook.com/LoDeMarcosTianguis.